Whether you own a small retail store or manage a large shopping centre, if you want to make effective business decisions, accurate and high-quality footfall data is what you need. 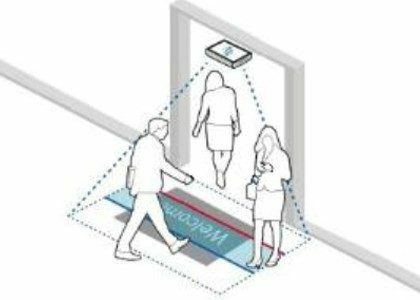 PFM Footfall Intelligence counts visitors by using a variety of people counting devices at every entrance of a commercial area. Based on your needs, we will take a technology-agnostic approach to help you understand what goes on in your retail environment. We have devices suitable for every area/height situation. Below we will briefly explain the different devices we can offer. 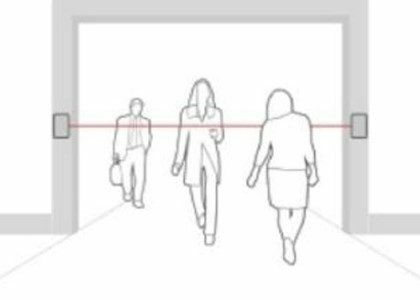 Infrared beam counters are horizontal infrared beams located at the entrance of your store. 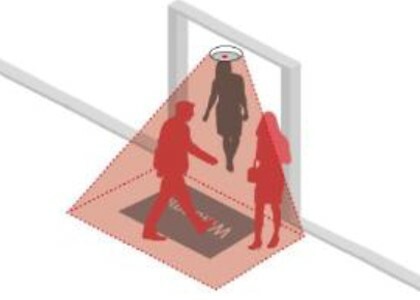 These sensors capture incoming and outgoing footfall. These easy to install devices are suitable for any in and outdoor location. Thermal counters are placed on the ceiling at the entrance of your store. Thermal counters accurately detect people by their body heat profile. Therefore, they count bi-directionally even when a number of people are passing simultaneously. Thermal counters are ideal for general people traffic counting and are widely used to monitor footfall in retail and leisure industries. Thermal counters are non-intrusive and unaffected by light, heat or inanimate objects, which can destabilize other technologies. With an accuracy of more than 96%, these devices provide accurate and high-quality data. Enhancing the in-store shopping experience starts by understanding how many shoppers come into your store/shopping centre using People Counting. The delivered data provides accurate and valuable insights on customer behaviour. It provides answers to questions such as; what brings people into your store(s), what route they take, how long people stay and what people buy. This valuable information enables our clients to make data driven decisions on strategy and operations. 3D stereoscopic counters use 2 lenses to facilitate depth perception. Depth information allows a camera to distinguish a group of people as separate objects. Therefore, it counts accurately even when more than 10 people are entering and exiting the store simultaneously. Note: we do not process video images. These counters detect the Mac Address of visitors with a Wi-Fi / Bluetooth enabled device on them. The strength of the signal can give an approximate location of each person. We hash the MAC addresses irreversibly and are therefore pseudonymised. We remove the original MAC address of your device from our sensors and systems. The further analysis of this data is done with the pseudonymised data. Note: we do not process personal information. If you take it one step further, it even allows you to make an assessment on the impact of weather on your customer visits. There is so much you can do with data. Would you like to know more about your options, please get in touch with us!